"Show love for your loyal canine companion. 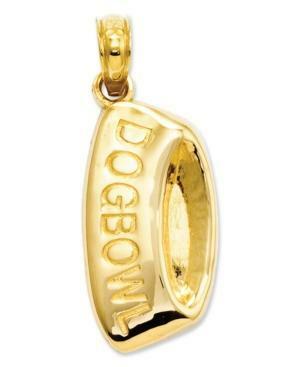 This cute ""Dogbowl"" charm is crafted from polished 14k gold. Chain not included. Approximate length: 9/10 inch. Approximate width: 2/5 inch."